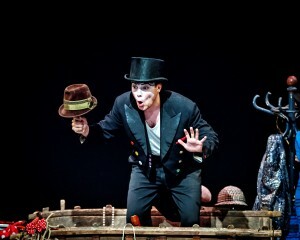 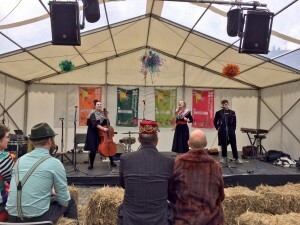 A trio of well-known fairytales with spellbinding storytelling and live music. 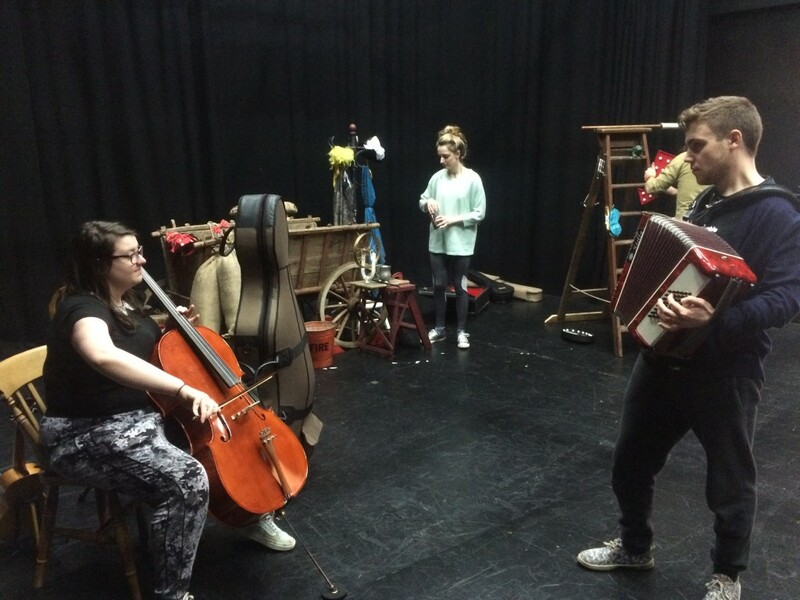 Three singing actors weave together famous tales, which all feature the elusive number three! 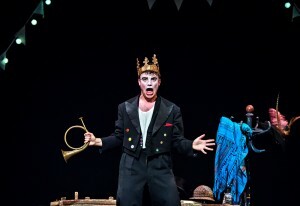 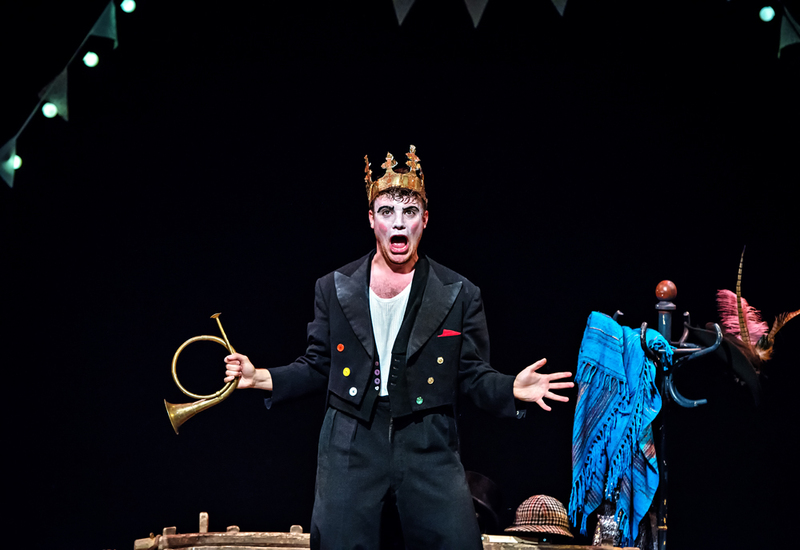 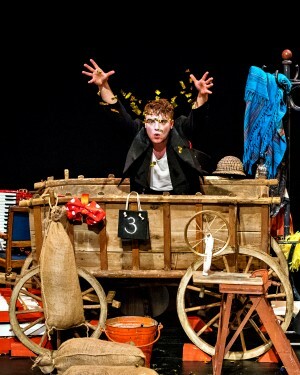 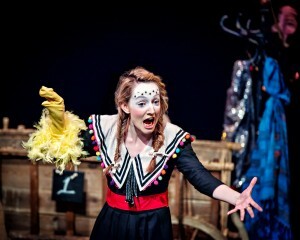 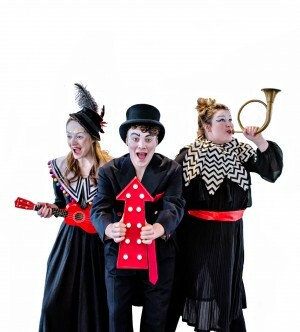 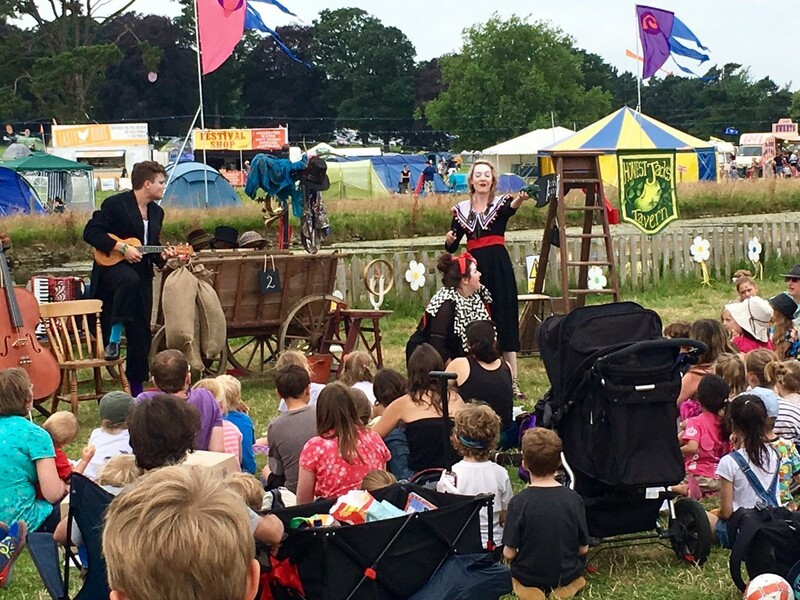 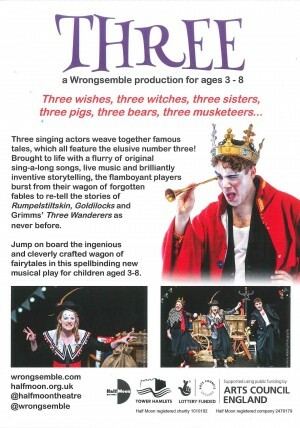 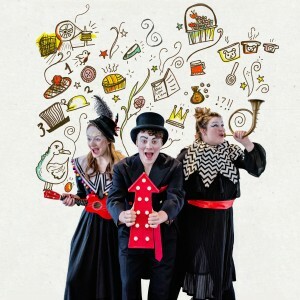 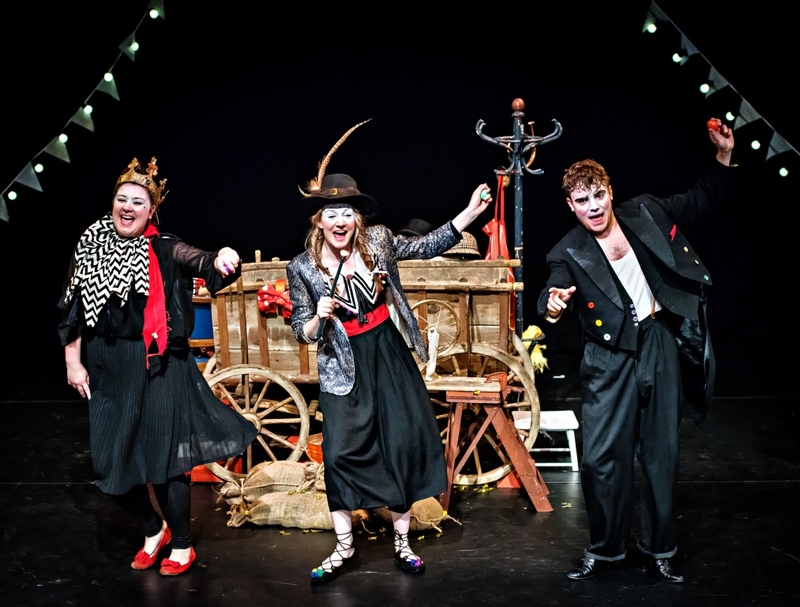 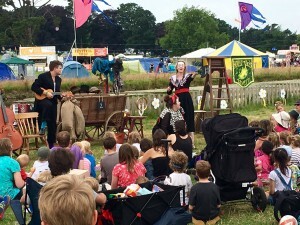 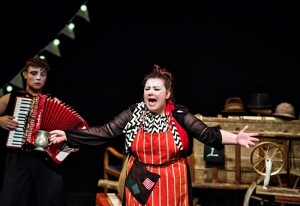 Brought to life with a flurry of original sing-a-long songs, live music and brilliantly inventive storytelling, the flamboyant players burst from their wagon of forgotten fables to re-tell the stories of Rumpelstiltskin, Goldilocks and Grimm’s Three Wanderers as never before. 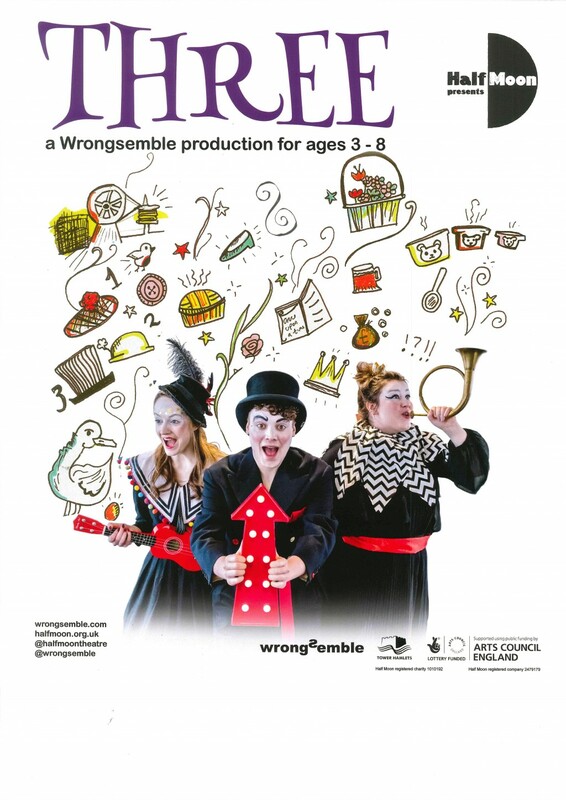 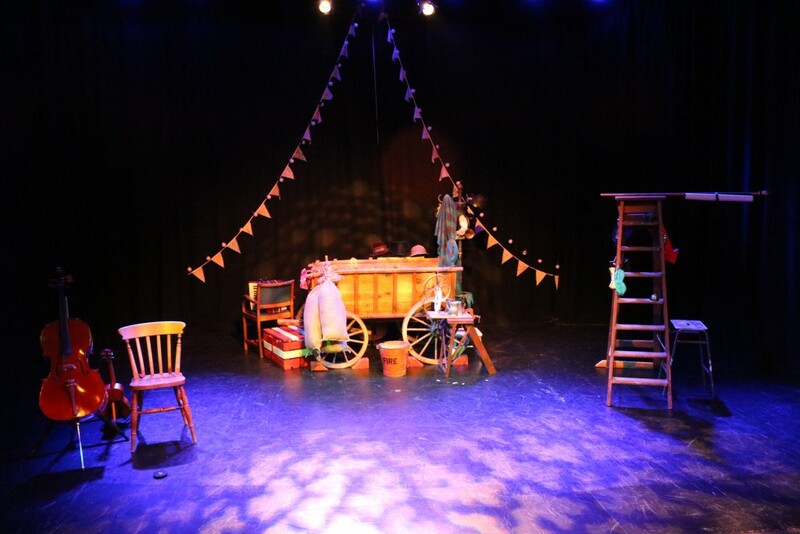 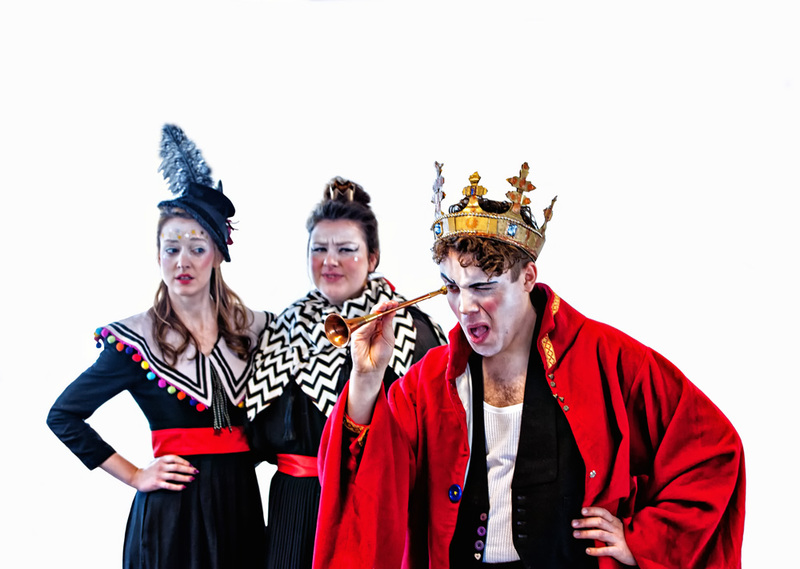 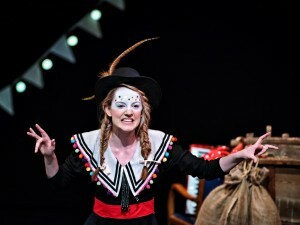 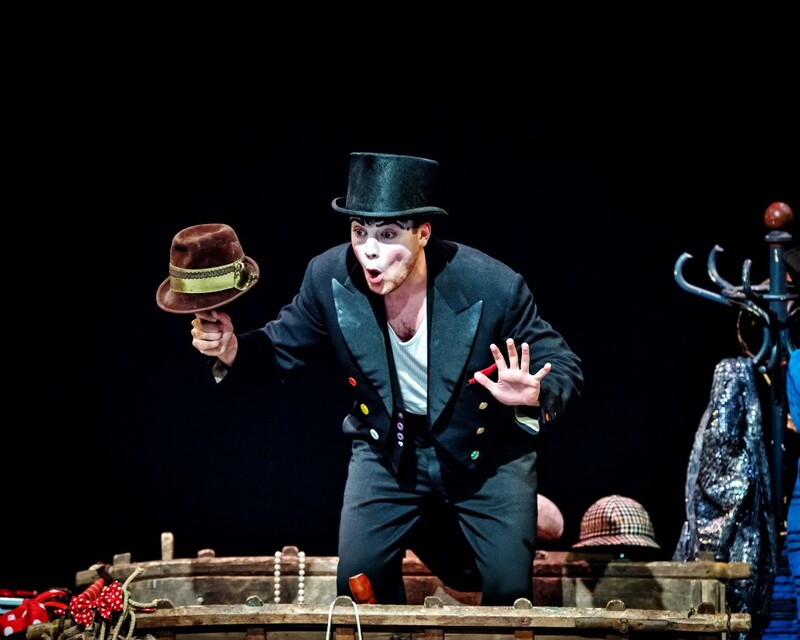 Jump on board the ingenious and cleverly crafted wagon of fairytales in this spellbinding new musical play for children aged 3-8 and their families. 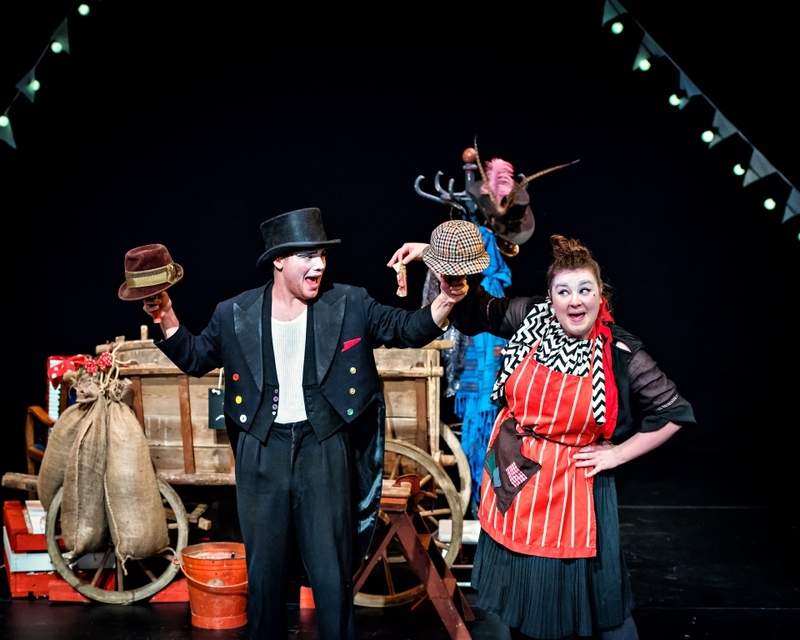 Toured nationally as part of Half Moon Presents during 2017. 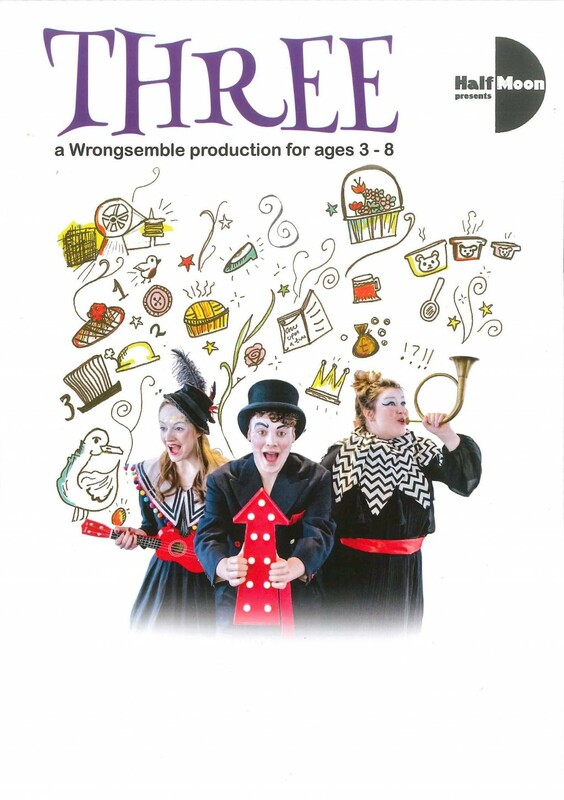 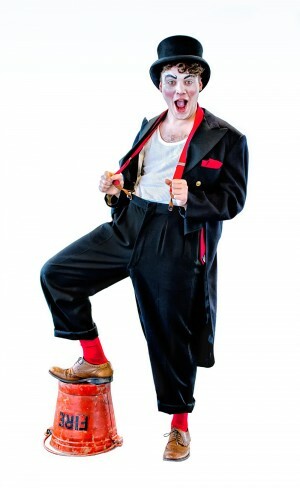 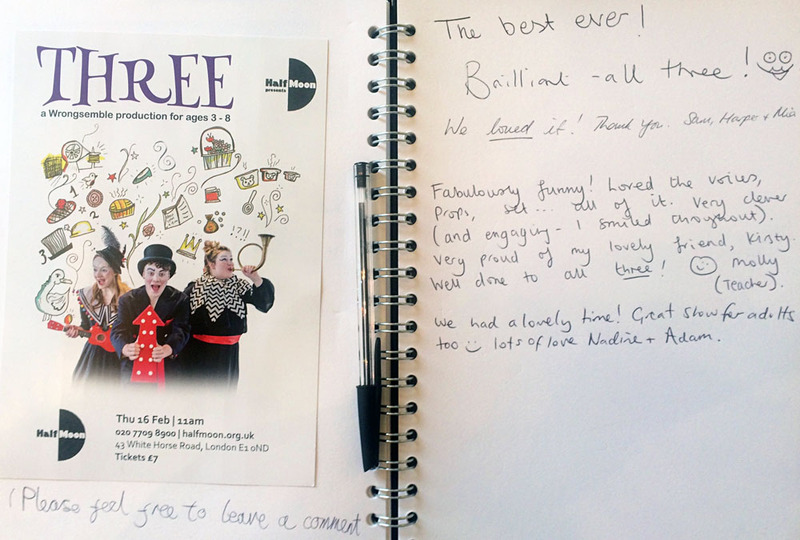 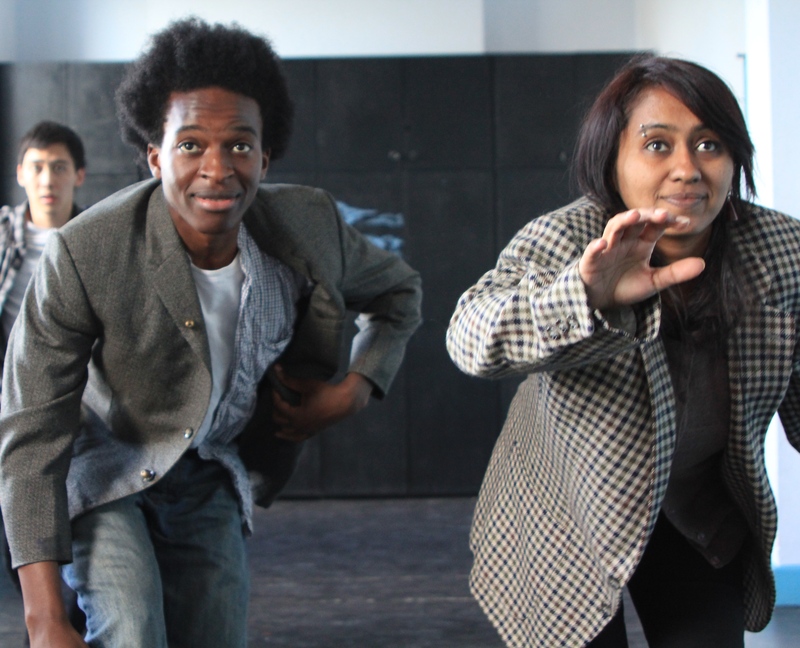 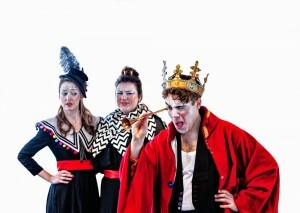 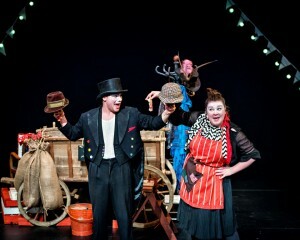 “With clever design, exemplary storytelling, and raucous energy, Three is a step above most family entertainment. The trio of performers is a joy to watch, and their performances and musicality mark them out as an ensemble with real talent. 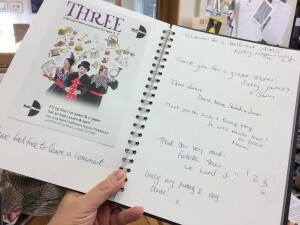 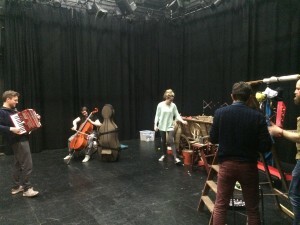 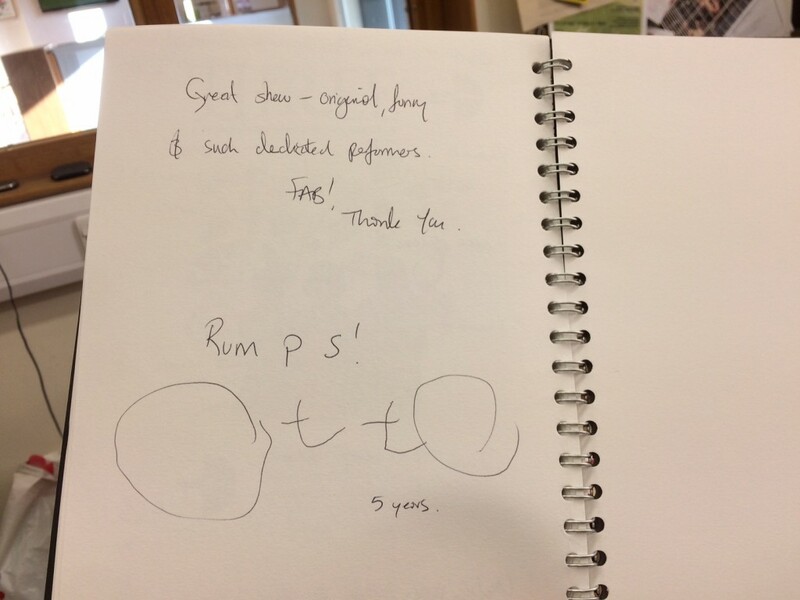 With such talent on display, Three really is the perfect start to a day at the Edinburgh Fringe”.